We actively promote the use of energy-efficient equipment maximizing the natural light. By keeping electronic files we minimize the use of paper; printing is only on recycled/reused paper. Wastes produced by the company are properly managed on our recycling center and by our active participation in the recycling programs through the Municipality of Escazú. We promote the country as well as the importance of protecting the natural resources. We are a member of the Amigos de los Parques program, managed by Fundación Proparques. 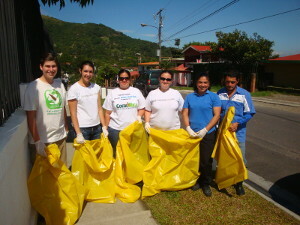 Working with small groups of tourists to minimize environmental impact. At the office and at our transportation units we use natural and biodegradable products. Our local naturalist guides educate our passengers to be part of ongoing sustainable programs throughout the trip. Feedback from guides and passengers is monitored closely. All of our trips are carbon off set because we compensate the carbon dioxide produced by planting trees with the Program of Allies for Climate Change (ACC), led by engineer Laura Lang. In order to reduce the amount of plastic on board of our trips, we support the use of refillable water bottles. IL VIAGGIO TRAVEL encourages working from home and online meetings in order to avoid commuting and rush hour fuel waste. We carry out different activities that involve environmental conservation. Our programs incorporate natural and cultural features by developing activities that include the communities and encourage their sustainable development. Choosing service providers that are certified by CST, who work with the Rainforest Alliance's tourism and/or agriculture programs, and businesses that have the Ecological Blue Flag, ISO14000, or other recognition. Sustainability is promoted among clients, wholesalers, and suppliers. Our clients are given opportunity to participate in conservation initiatives and communal development. Training direct and indirect collaborators on topics related to sustainability and efficient resource use. We actively work with rural schools in order to allow cultural exchanges. Every year we help local schools and by solving some of their most pressing needs. We coordinate various donations to resource-less schools on different regions of the country. Our staff is often on the road checking product and learning from the social & local environment first hand. We promote the traditions of the country as well as the consumption of national products, meals, and crafts. 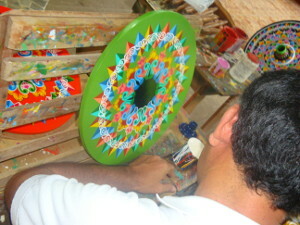 For example we support local artisans through the purchase of handmade works of art to give our clients as gifts. We look to include meals in local restaurants in the different communities we visit. We provide opportunities to meet local artisans and buy souvenirs, while strongly discouraging the clients from buying live creatures, and products derived from endangered species.